Credit or Debit Card? Which is Better? Credit card – With a credit card, you are building your credit history; which is a great thing for people looking to build up their credit. It’s also not linked to your bank account, so if it were to be stolen, a thief would be limited in the amount of damage they could cause. Fraudulent activity can be detected and contested. However, due to the fact that payment is delayed on credit cards, they can cause some people to get carried away and spend more than they would otherwise. Credit card users should pay the balance in full each month. Debit cards – Debit cards are a better option for people who have a harder time managing credit and keeping their balances to an amount that they can pay off each month. Since the money on a debit card is linked to your bank account, there is greater risk with their use in terms of theft. 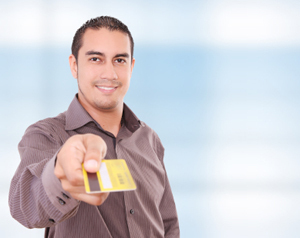 Debit card users have little protection against theft; this varies based on the bank you use. Some banks do offer protection but they charge a fee for it. Debit card use also has no impact on your credit; so if you are working to build your credit, a debit card will not help with that. It’s important with debit cards that if you use more than the funds you have available, you will be hit with hefty overdraft fees, so be careful not to spend more than you have. credit reports and scores, insurance, taxes and more.